Warsaw (AFP) - Poland's former president and Solidarity union leader Lech Walesa on Wednesday fought back renewed allegations that he was an agent for the Soviet era communist police. "You can't change the facts with your lies, allegations and counterfeits," wrote the 72-year-old Nobel Peace laureate who founded the Solidarity movement in 1980 that brought an end to communism in Poland. The blog was in response to a statement from Poland's Institute of National Remembrance (IPN), which is in charge of investigating Nazi and communist-era crimes. The IPN said it had on Tuesday acquired a handwritten piece of paper from 1974 recounting a conversation between a Polish secret police (SB) official and secret agent "Bolek". Certain historians and politicians have over the years attributed the codename to Walesa -- Poland's first post-communism era president -- though the IPN did not weigh in on the allegations and disclosed no further details. In 1992, former interior minister and current Defence Minister Antoni Macierewicz published a list of 60 suspected SB agents, including Walesa as "Bolek". 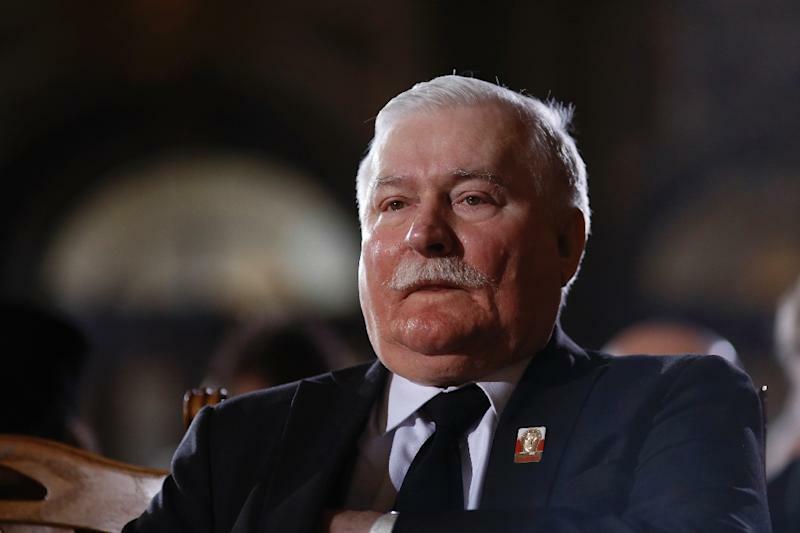 Walesa -- who served as Poland's president from 1990 to 1995 -- has always said that any accusations of collaboration are "absurd" and a special vetting court cleared him in 2000. But the rumours persist. The IPN said it had seized the document and others from the home of the widow of Communist-era General Czeslaw Kiszczak, who helped orchestrate a brutal 1981 crackdown on the pro-freedom Solidarity movement. He died last year. The IPN said the widow had offered to sell them the documents, but deciding they were held "illegally" the institute seized them through a police search of the home. In January, Walesa had called for a public debate at the institute so that he could take on his critics face-to-face and clear his name. But he later called off the debate amid conflict with the IPN, which said he had refused his critics the right to speak at the planned debate.